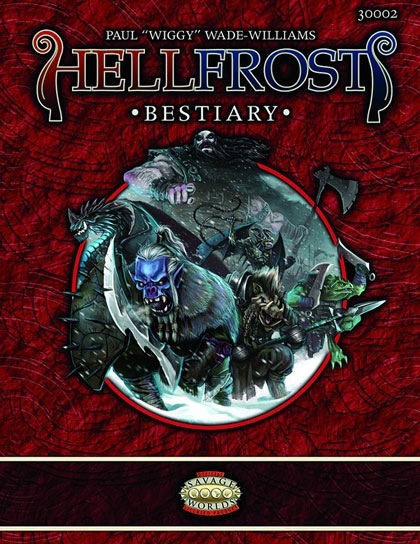 HELLFROST BESTIARY [CB7-30002] - $24.50 : Force of Habit, Your On-Line Store of Choice! This sourcebook for the Hellfrost campaign setting contains information and statistics for over 300 hazards, monsters, and citizens of Rassilon. Whether your heroes explore the Hearthlands or the Hellfrost itself, all manner of potential allies and fearsome foes await!